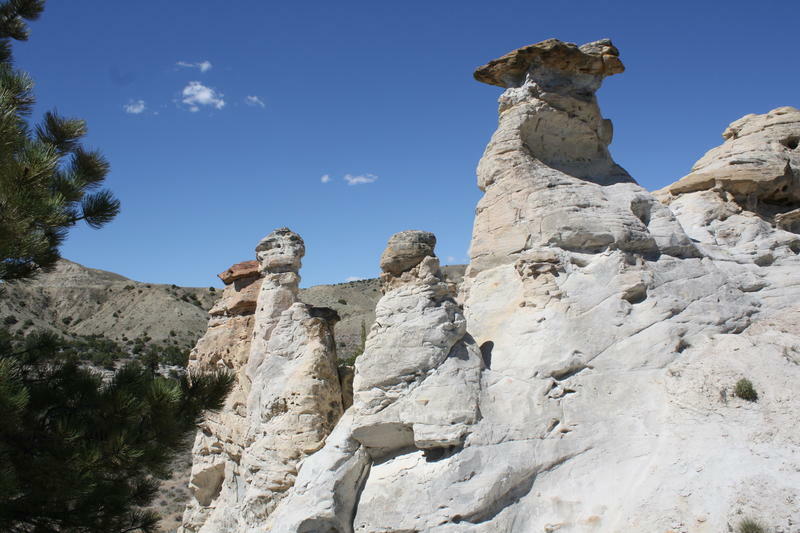 This area of fantastic rock formations is located at the foot of the Bighorn Mountains at an elevation of 4,500 feet. Two picnic sites with tables, grills, fire rings, and a restroom are provided, however, water and trash pickup are not available. Use of the area is free. The Castle Gardens Scenic Area is open from May through October. The turnoff to the Castle Gardens Scenic Area is approximately 2 miles west of Ten Sleep on U.S. Highway 16. From there a dirt road heads south for approximately 6 miles to the site. For more information, visit http://www.blm.gov/wy/st/en/field_offices/Worland/rec/scenic.html .